Five months after IdN Fresh Conference in Singapore, IdN hosted another large-scale design conference in Hong Kong on 14th-15th September. Coincided with IdN magazine’s 10th anniversary and the first ever Hong Kong Business of Design Week, My Favourite Conference marked a significant departure from IdN’s previous conferences. In the past the majority of presenters composed of web-based designers and graphic designers, this time, IdN pulled off a list of speakers and performers of different design fields from around the world. 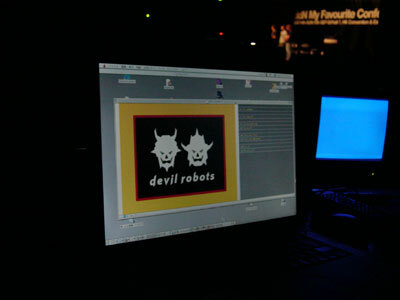 The first-day conference kicked off with Devil Robots Theatre, presented by Tokyo design collective the Devilrobots. The design team specialises in character designs, illustration, motion graphics and web design. 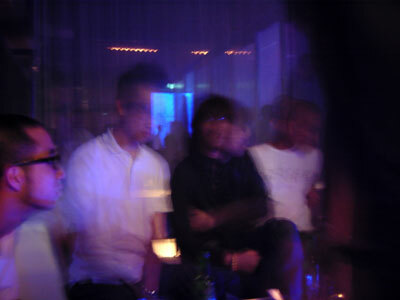 Shinichiro Kitai and Yoshizo Yoshimura were the main men of the show. Presenting in broken English and hilarious body language, the duo told the history and philosophy behind their creation, Tofu-Oyako. After their successful performance in IdN Fresh Conference Singapore, Devilrobots once again won the hearts of local audience. No wonder they called themselves designers-comedians. Following Devilrobots are The Studio and Tomato from London. The Studio is best known for Bjork’s Vespertine worldwide press campaign and the current Issey Miyake campaign. They shared with the audience their views on the digital revolution in the design industry. While Tomato, IdN’s longtime collaborator, revealed to the audience the philosophy behind the company. Also from England were Build headed by Michael C. Place and Nicola Westcott. The couple took the audience to a fantastic visual trip around the world. Penny Martin, Paul Hetherington and Daniel Brown of SHOWstudio (co-found by Nick Knight) presented some of their eye-opening works. 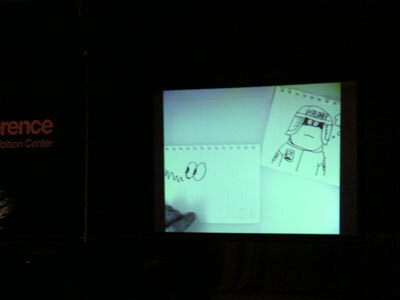 Star illustrator James Jarvis performed live drawing and talked about the creative ideas behind his comic world. Known for his design for many Japanese magazines such as +81, SAL magaizne and Gasbook, Hideki Inaba is an icon for many local designers. 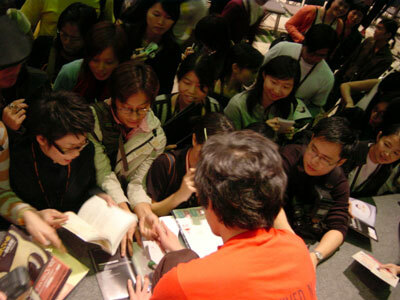 His presentation on editorial and packaging design drew a full-house audience. 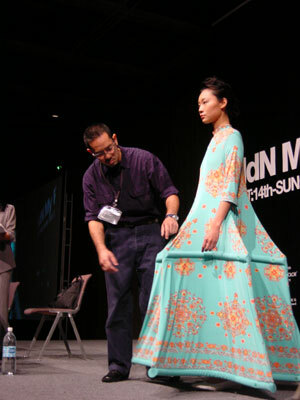 Issey Miyaki’s chief designer Naoki Takizawa brought along the new Issey Miyaki collection and deconstructed the design ideas in front of the audience. Other speakers included Jaime Hayon and Andy Cameron from the Fabrica Research Center in Italy, the star industria/ product designer Karim Rashid from New York and the creative brains behind many innovative fashion campaigns, Mathias Augustniak and Michael Amzalag of M/M Paris. Hong Kong representatives are veteran designer Kan Tai Keung and local creative , Joel Chu of Communion W.
Apart from the regular fares that you would expect, such as speakers’ presentations, IdN introduced more live performance elements. For the first time, the renowned London digital film festival Onedotzero was brought to Hong Kong. 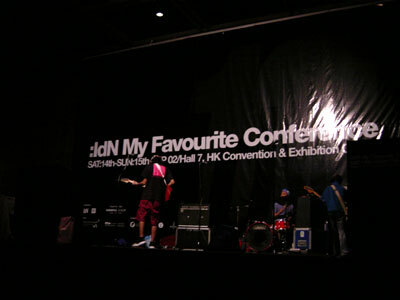 A 45-min music video screening session was shown. Screened just before lunchtime on the second day of the conference, the show proved to be an excellent break for a whole day’s presentation. The feedback from the audience was so great that a full-version of Onedotzero Festival is expected in Hong Kong in the near future. Also on the second day, there was a music concert featuring Tokyo’s Delaware. They are rockers, at the same time, designers. The band delivered many of their hit tunes from their previous albums as well as their latest record, Artoon. Their special mix of J-rock and candy pop sent the audience to a state of frenzy that is rarely seen in design conferences. The conference warped up nicely with Japanese artist Nara Yoshitomo’s presentation entitled “My Favourite”. Many audiences are already familiar with Nara’s art and drawing. The big head girl figure that he created in his paintings has become somewhat of a cult figure. 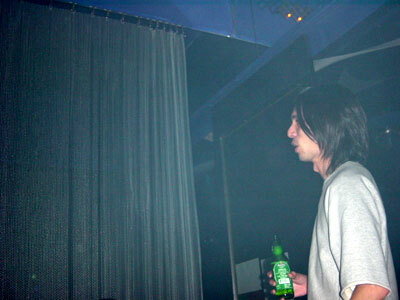 Nara’s presentation was a slide show featuring hundreds of photographs taken by him, accompanied with upbeat soft rock music chosen by the artist. Nara drew most of the audience at the back to move to the front, just to get a better view of the projection screen and the artist himself. It’s so nice to end the event with Nara’s warm and personal presentation.